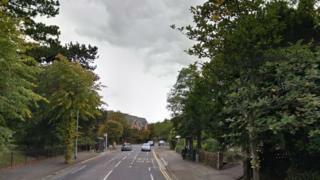 A woman was raped by a male cyclist in the early hours of Sunday. The victim, aged in her 20s, was cycling along Park Road, near to Elizabeth Court in Peterborough, when she was attacked at about 03:00 BST. The offender has been described as a white man with very short brown hair, who was also on a bicycle. Cambridgeshire Police has appealed for witnesses, adding that officers would step up patrols in the area over the next week.